It can be argued that this is the ultimate season of ‘dessert’. 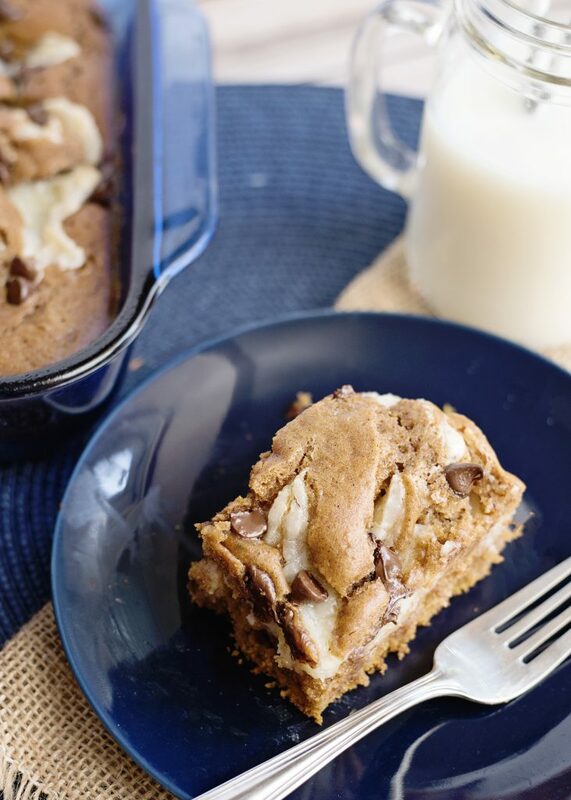 There’s no yummier way to embrace the tradition, and the season, than in the form of this fluffy, moist, chocolatey Pumpkin Spice Earthquake Cake. 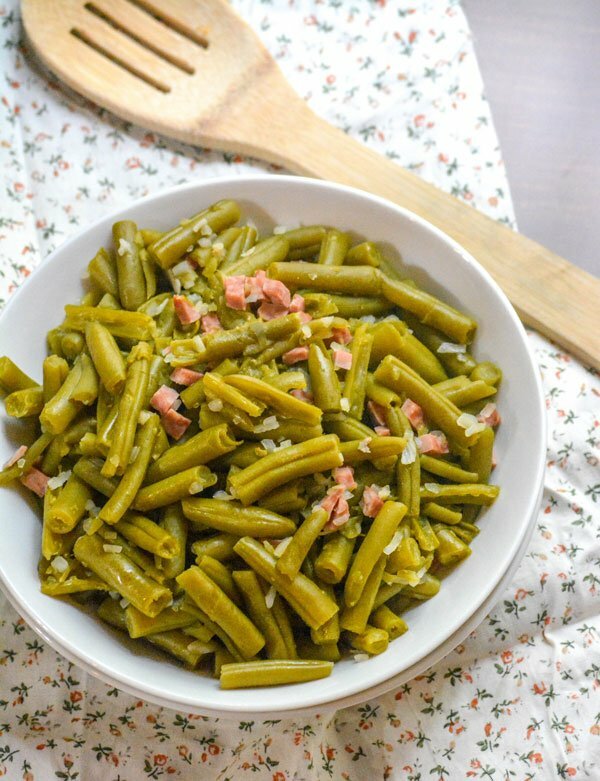 Green beans don’t have to be freshly snapped to be chock full of flavor, or appropriate for Holiday dinners. Grandma’s Canned Green Beans are so good, I’m proud to serve them at my table any dinner of the year. It helps that they’re also secretly easy enough for even busy weeknights too! Want to infuse your meal time with all things Fall? 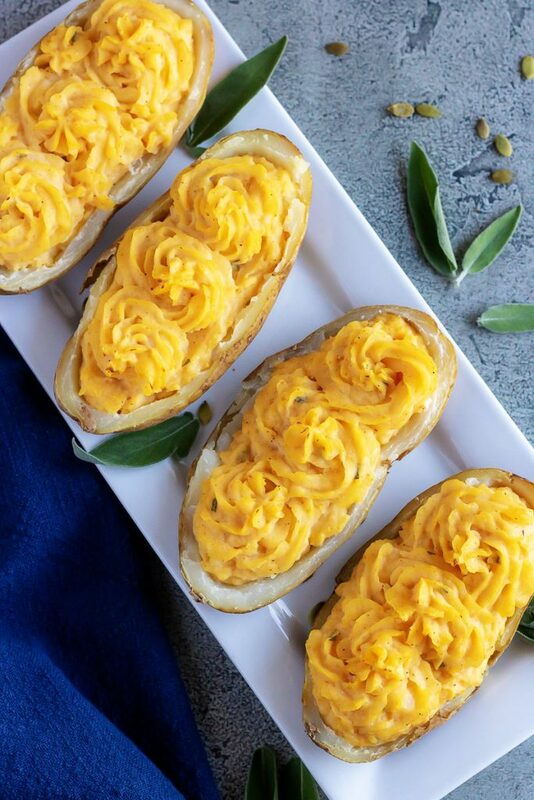 On top of the traditional sides, you’ll want to include these Pumpkin Parmesan Twice Baked Potatoes on your menu. Crisp, russet potato shells are filled with a savor mixture of whipped potatoes, smooth pumpkin, warm sage, and tangy Parmesan cheese. It’s a seasonal spin on the classic baked potato that doesn’t disappoint. 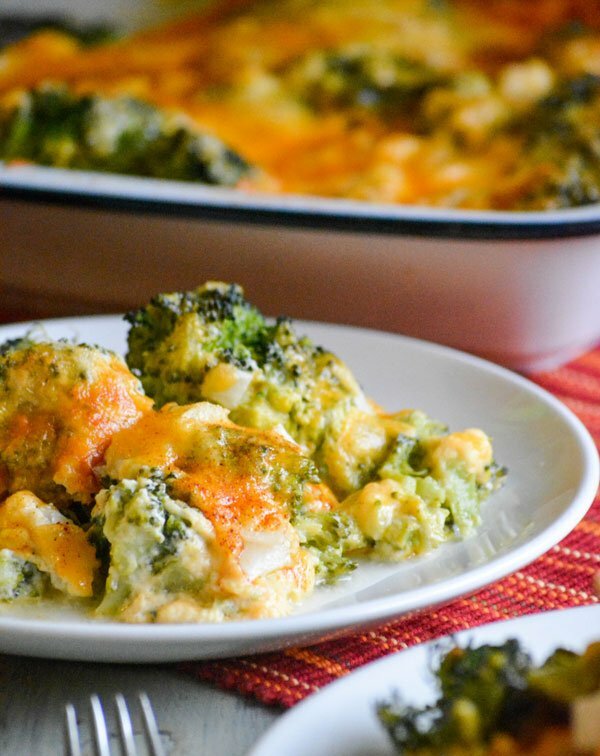 Every holiday meal needs a solid side dish to round it out, Grandma’s Cheesy Broccoli Souffle Casserole is just that dish. 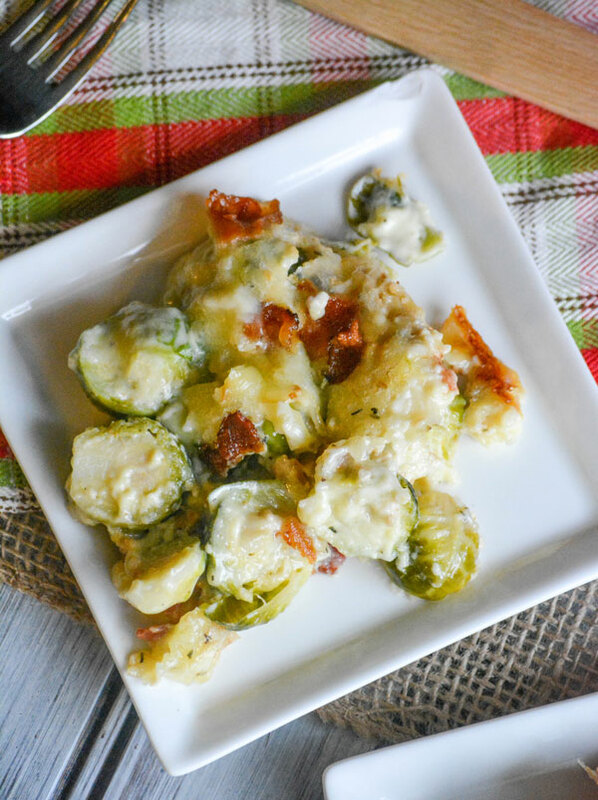 It’s quick & easy, full of good for you veggies served in tasty cheesy form. It’s perfect for the holidays, but also easy enough for every day dinner. 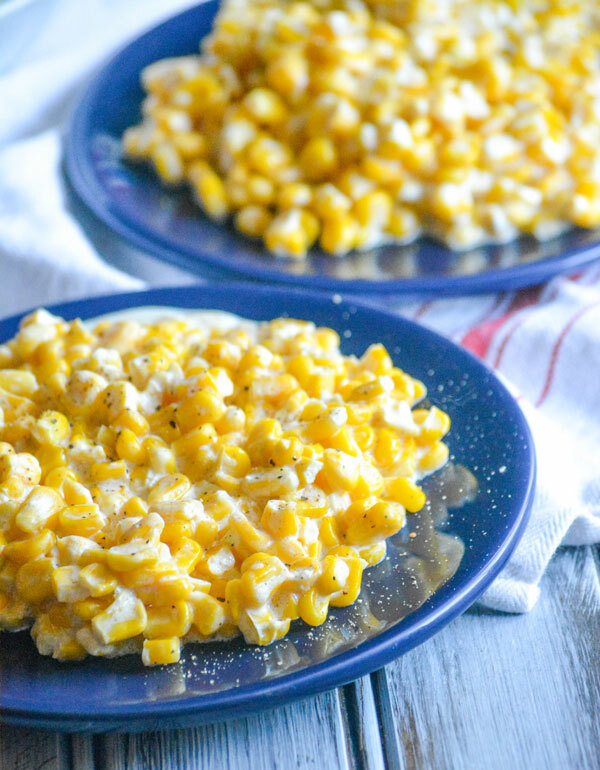 Kick the canned habit, and go with this Slow Cooker Homemade Cream Style Corn instead. Golden corn kernels in a sweet cream sauce, slow cooked to perfection- you’ll never regret including this delectable 6 ingredient side dish on your dinner menu. A seasonal favorite, this quick & easy Cranberry Fluff Salad features fresh cranberries, crushed pineapple, and mini marshmallows tossed in freshly whipped cream. It’s the perfect dessert, whether you’re just craving a bit of seasonal flavor or need to whip something up at the last second. Cheesecake is a pretty universal dessert, perfect for anytime of the year. Infuse yours with the flavors of the Holiday season with our Cranberry Sauce Topped Eggnog Cheesecake. It’s a little Christmas miracle in every bite. Thanksgiving dinner is great, but often the leftovers are even better. Savor those flavors in a fun new way with these Thanksgiving Leftover Eggrolls & Cranberry Dipping Sauce. The holidays are coming, which means copious amounts of comfort foods & old family favorites. 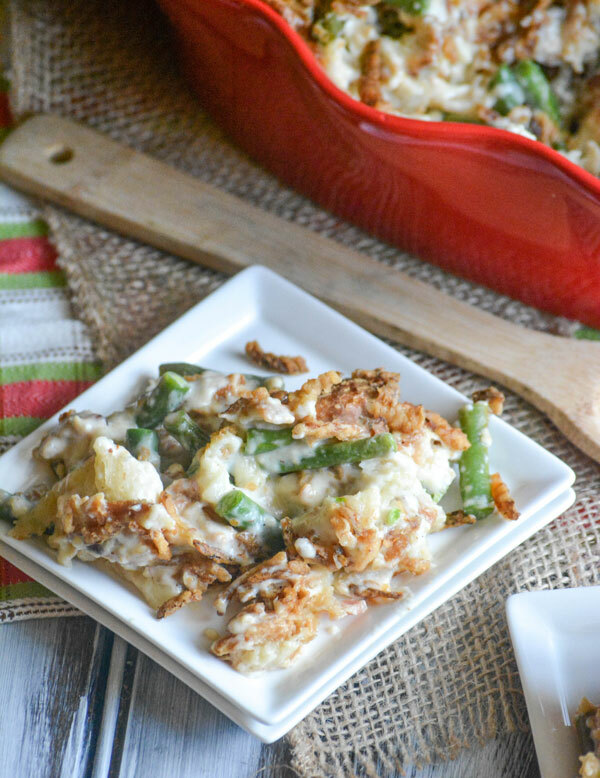 We’ve given this classic casserole a new look with our Green Bean Casserole Bread Pudding. It’s great all by it’s dang self, but paired with a turkey or ham it’s the recipe for a perfect dinner.